Artists from around the world made art on cloth to hang together like Tibetan prayer flags. 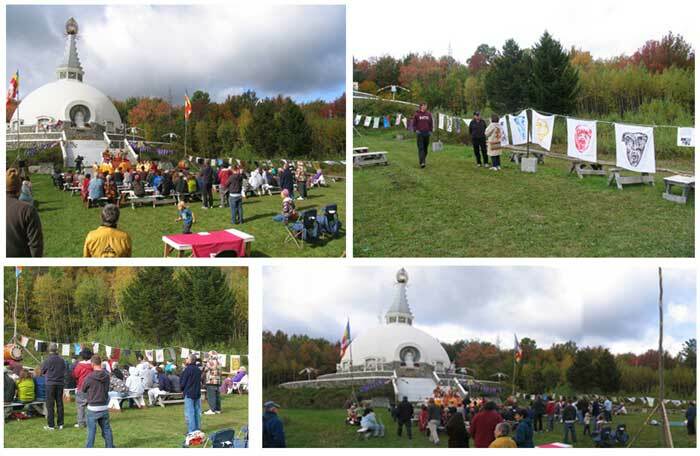 The pieces were first hung at the Grafton Peace Pagoda in Grafton, NY in August 2008, for the annual Hiroshima memorial prayer ceremony. The pieces will then travel to other ceremonies and exhibitions in the United States and participating artists’ countries as a symbol of peace around the world. Flags continue to arrive. As they travel, artists are invited to join and the Prayer Flags will continue on their own. This project was inspired by a ceremony I initiated during the 2006 D. Fleiss Residency/Symposia in Carei, Romania on Hiroshima Day 2006. This was during the Lebanon War using two paintings by Talal Moualla, who received daily phone calls from his home about the devastation. There were artists from Syria, Egypt, Morocco, Japan, France, USA, Hungary, Ukraine, Romania, Germany, Brazil, Italy, Spain, Thailand, UAE, Poland and more. It was inspiring to create art with artists from around the world in a spirit of peace and harmony. This is a continuation of that experience. Prayer and Sound Flags Exhibition, Emigrant Women Installation by D. Fleiss. Here There and Everywhere: Anticipating the Future of Art. TransCultural Exchange 2009 Conference on International Opportunities in the Arts. Omni Parker Hotel, Boston, MA. 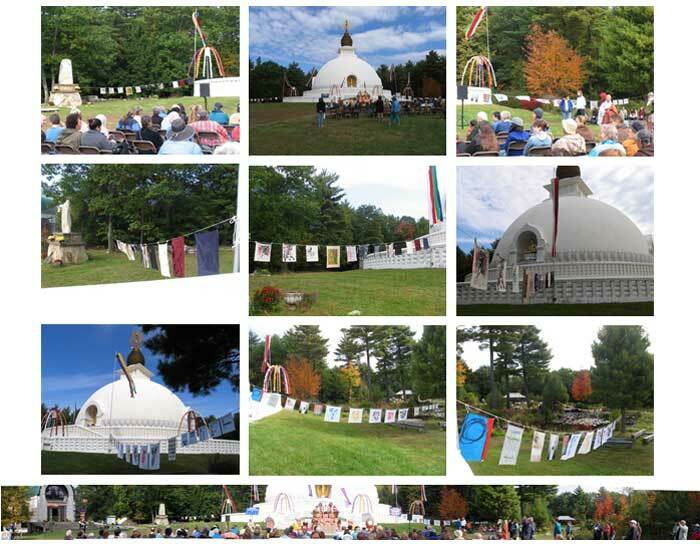 Sound Prayer Flags to accompany the Prayer Flags Around the World Project was initiated by Mary Ellen Miller. The first Sound Prayer Flag was recorded on March 22, 2009 with Mary Ellen Miller, Tristan Gordon, and Kai Matsuda. 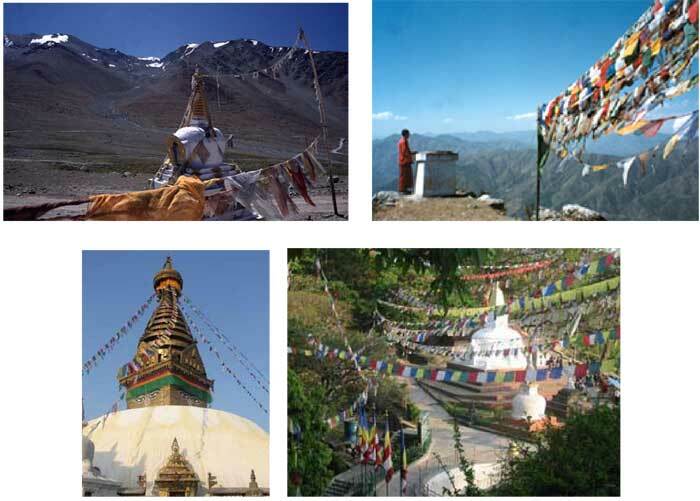 Musicians around the world are invited to create Sound Prayer Fags on a CD to be played with the Prayer Flags as they are exhibited around the world. Skin prays in all colors. Sound skins us all alive.